In the early 1940’s (during WWII), Australia found itself in danger of a Japanese invasion. The Australian federal government imposed censorship and rationing on the nation and directed all major resources to the war effort. With the bombing of Pearl Harbour, Hawaii the armed forces realised that they could not confine their ships to harbours and bays (eg. Port Phillip Bay and Sydney Harbour) so they spread them apart in the ocean outside these enclosed areas to make them less of a target. Plover, the heart of Bay Fish N Trips was built by GM Holden in 1942 at Fishermen’s Bend, Melbourne (six years before their first motor car). No expense was spared. 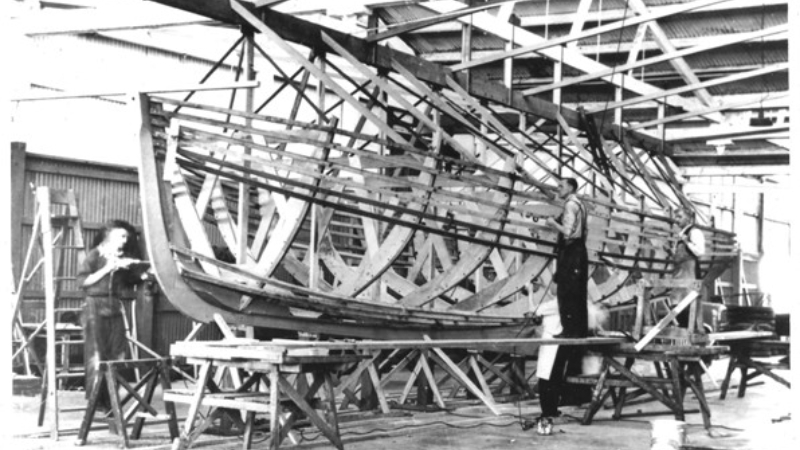 She was one of many assembly line built vessels called Australian Work Boats (AWB) or “wooden war babies” to the defence personnel. Simple, strong and easy to construct on mass. 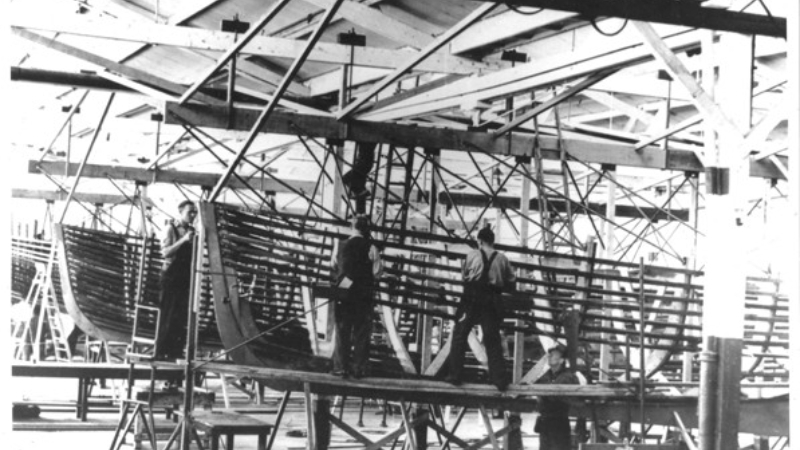 Over 600 of the AWB’s were built around Australia during the 1940’s. Her original vessel number has since been lost. 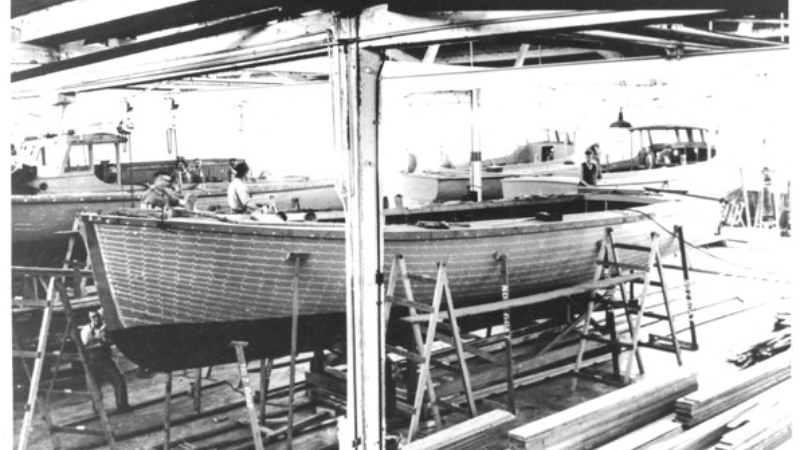 The original design was based on the US Nantucket Crab Boats. A lot of the AWB’s, including the Plover, were made from old growth Douglas Fir (Oregon) imported from the United States. It is a soft wood but strong and durable. Some were sheathed with Copper to keep out the worms. After construction many were towed by truck to various launching sites. 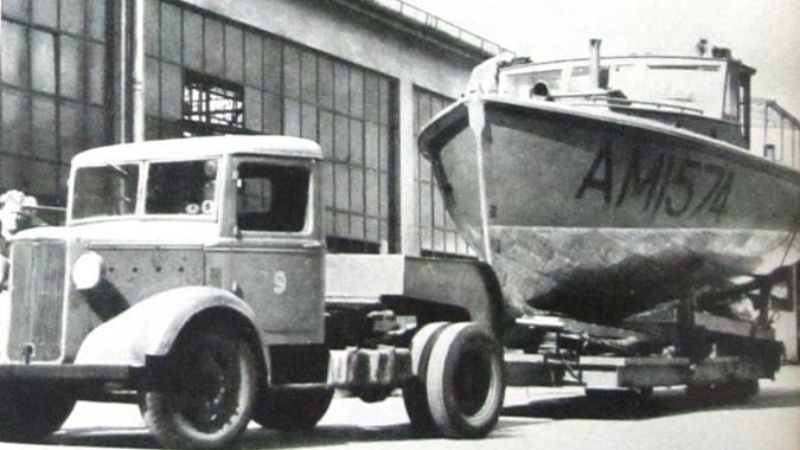 The original vessels were fitted out with a Detroit Diesel Engine. This engine was introduced to help bring an end to WWII. The Series 71 was built by the Diesel Engine Division of General Motors. These engines would go on to be used around the world in many different applications but probably their most import job was to power almost every landing craft to bring soldiers to the beached on D-Day, June 6th 1944. “Screaming Jimmy’s” they were nicknamed (a play on GM from GM Holden). Vessels such as Plover were built to act as support boats for the larger ships to support the war effort (to transport personnel, fuel and equipment, used as water ambulances, to transport frozen meat, to push/pull like a tug boat or even to patrol selected areas). Patrol boats often has a Vickers heavy machine gun attached to the stern. The AWB’s could be found right around Australia in most major cities and as far north as New Guinea or as far south as Tasmania. Vessels such as Plover played an integral role in the war effort. Plover is an Australian Work Boat built in 1942 for the Royal Australian Army. She probably would have been used to push, pull and carry but her specific role in the core is unknown. If only her wooden planks would release their whispered secrets. 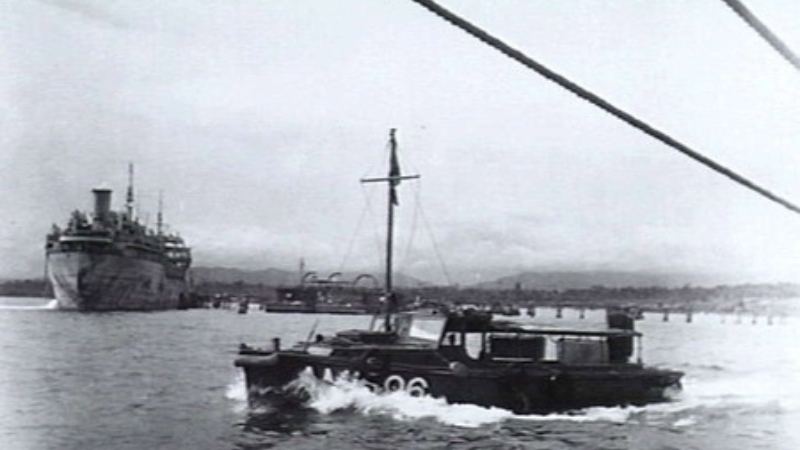 She may have even collected soldiers from the Mornington Pier during her time in the Army as it became an outstation for the Australian Water Transport Unit. (More details about this can be read in the article titled “Mornington Pier – part 2, 20th Century”). 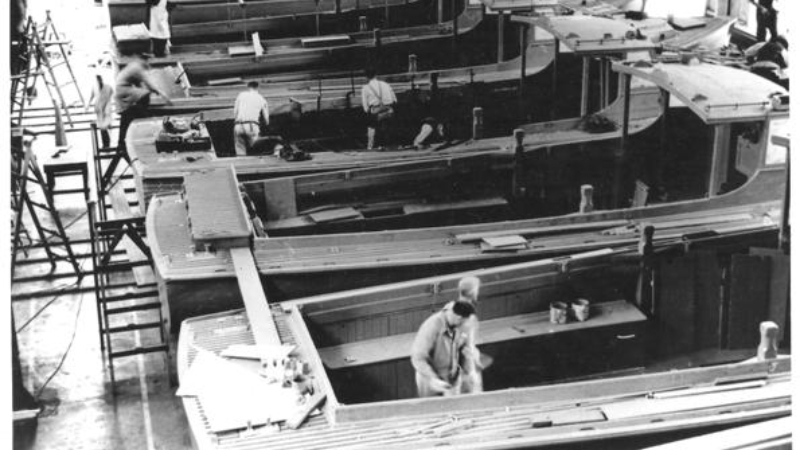 At the end of WWII, all the Australian Work Boats were decommissioned. While many destroyed, others such as the Plover were sold cheaply to marine based government services such as the Ports & Harbour branches around Australia. The Plover was passed over to the Melbourne branch based at Williamstown. Port Phillip Bay has always played a significant role in the life of this beautiful classic vessel. In the next edition, Plover (part 2), you can read about the middle years, her time with Ports and Harbours. It is here that she was named Plover. The last article (part 3) will describe Plover’s history as a transport vessel for the Tourism Industry, the last 30 years.